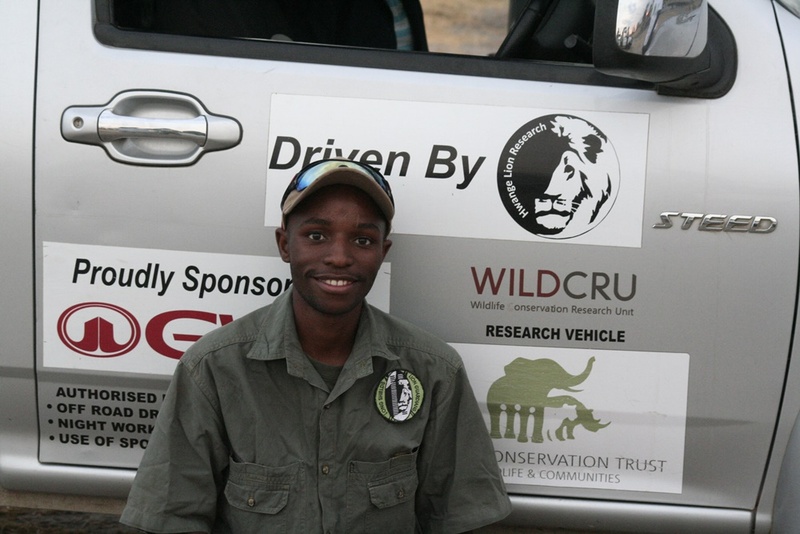 Liomba-Junior Mathe is a trained field conservationist and involved in the research, management and coordination of Mobile bomas and the Long Shields Lion Guardian programme for Hwange Lion Research under the auspices of Oxford University’s Wildlife Conservation Research Unit (WildCRU). He graduated with a BSc. Honours in Biological Sciences degree from Midlands State University in 2013 in Zimbabwe where he attained a first degree class, and joined WildCRU shortly. In 2016, he was awarded the Recanati-Kaplan Scholarship to study for a world class Post Graduate course in International Wildlife and Conservation with Oxford University’s WildCRU and rewarded with a distinction pass. During his PGDip study, Liomba explored the potential importance of using novel mobile livestock bomas as a tool for lion conservation to protect livestock overnight while concurrently increasing crop productivity by trampling dung and urine into the top soil which provides nutrients for crops that will be planted there. He continues to build on this work through advancing on the spatial dimensions of cattle-lion movement interactions in the KAZA TFCA. Liomba is determined to understanding the complex patterns of Human lion-conflict along the edges of Hwange National Park and better contribute to improving rural livelihood systems by mitigating the conflict and provide ongoing contributions to conserve Africa’s lions.